The upcoming San Francisco Silent Film Festival’s Day of Silents winter program this December 3 at the Castro Theater offers something for everyone, from Ernst Lubitsch’s 1926 Jazz Age gem So This is Paris, to the Oscar’s first ever Best Actor performance, Emil Janning’s portrayal of an exiled Russian general turned Hollywood extra in The Last Command (1928). The morning program leads off with three beautifully restored shorts Charlie Chaplin filmed for the Essanay Film Company in 1915, and co-presented by the Niles Essanay Silent Film Museum. The films will be introduced by preservationist David Shepard, whose Blackhawk Films Collection was the source for many of the restorations. 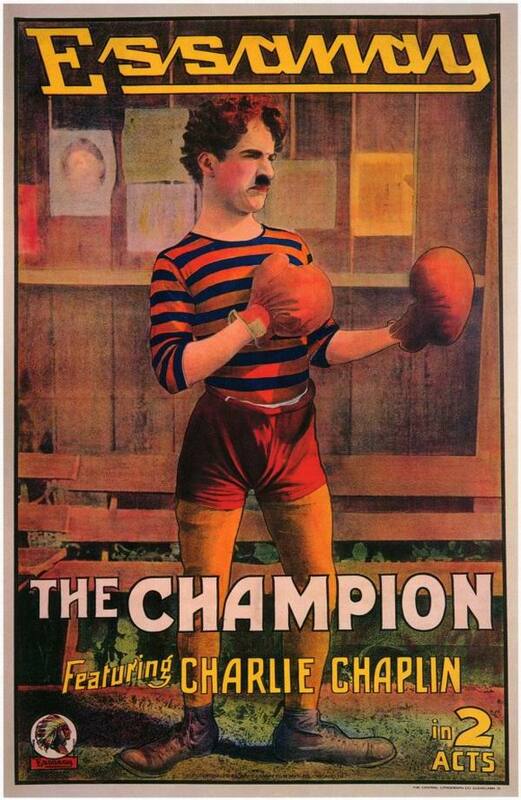 In addition to His New Job, filmed at the Essanay Studio in Chicago, and A Night in the Show, where Chaplin plays dual roles, we’ll be seeing The Champion, a boxing comedy filmed entirely on location in Niles, the second of five films Chaplin made for Essanay during his brief stay in the Bay Area before returning to Los Angeles to finish out his one-year contract with the studio. During this early scene Charlie and his little pal, a champion bulldog named Quapaw Lord Orry, walk south down G Street in Niles, beside the Essanay Studio fence, towards studio bungalows that still stand today. As reported here, The Champion provides charming views of early Niles, including the former Essanay Studio facility that once stood at the corner of Niles Boulevard and G Street. 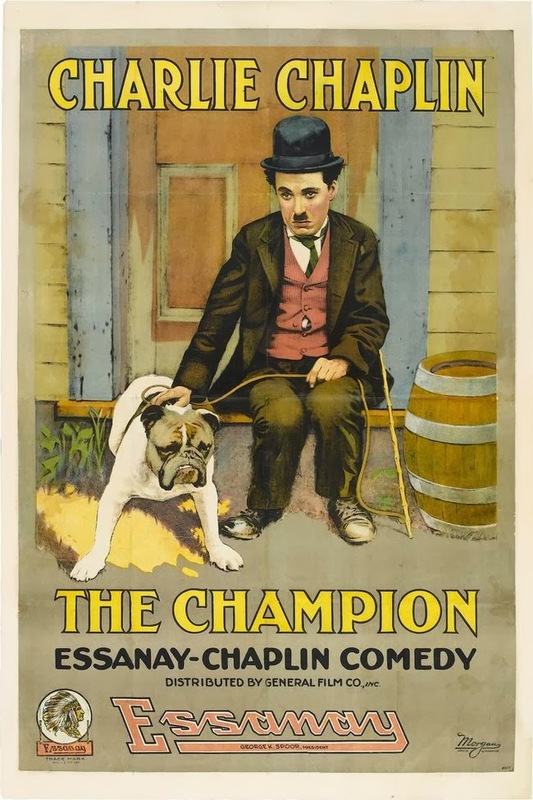 During the film, Charlie’s hungry tramp character signs up to be a boxing sparring partner, only to end up winning the championship and Edna Purviance’s affections. Chaplin was an avid boxing fan, and by the time of filming had started on off-screen romance with Purviance, whom he had only recently hired to be his first leading lady. Looking south at Chaplin’s path down G Street beside the Essanay Studio, built in 1913. 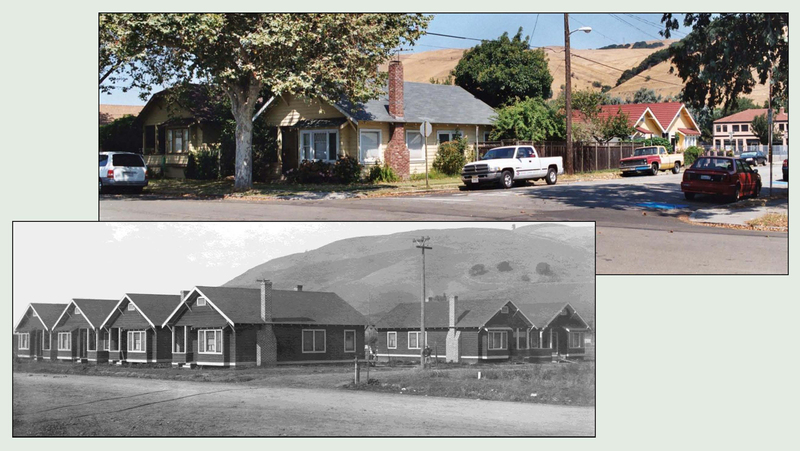 Looking NW at G Street and 2nd – Essanay built these bungalows for studio employees. To the far right is the home appearing with Charlie in the fence scene above. A modern fire station with retro design now stands on the corner where the Essanay facility stood from 1913 to 1933 – the bungalows appear to the left. (C) Google Street View. Looking west at the side of the Essanay Studio. The house at left appears in the Chaplin frame. 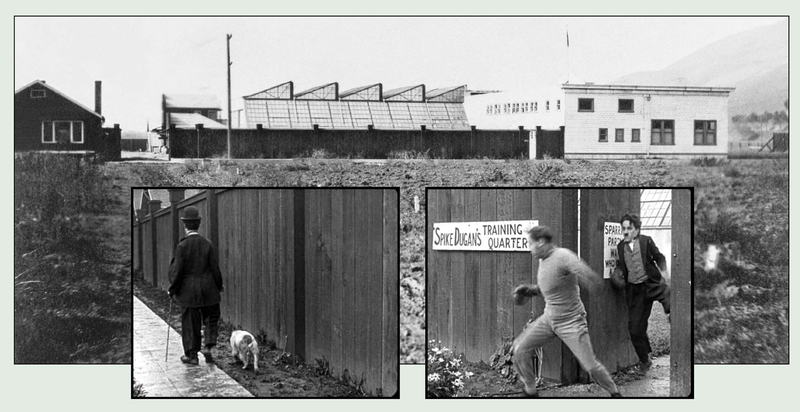 At right, Charlie chases a boxer through the gate in the studio fence. Notice the enclosed glass shooting stage appearing behind Charlie’s head. Looking north – filming The Champion within the glass shooting stage, visible behind Charlie in the prior scene. Looking east – when Charlie chases a boxer out of the studio fence gate, the southern face of the Township Register newspaper building appears at back. The inset shows the other side of the building. Looking east, Charlie struts and performs calisthenics within the fenced-in studio grounds. Above is a similar view east taken in Niles before the studio was built in 1913. 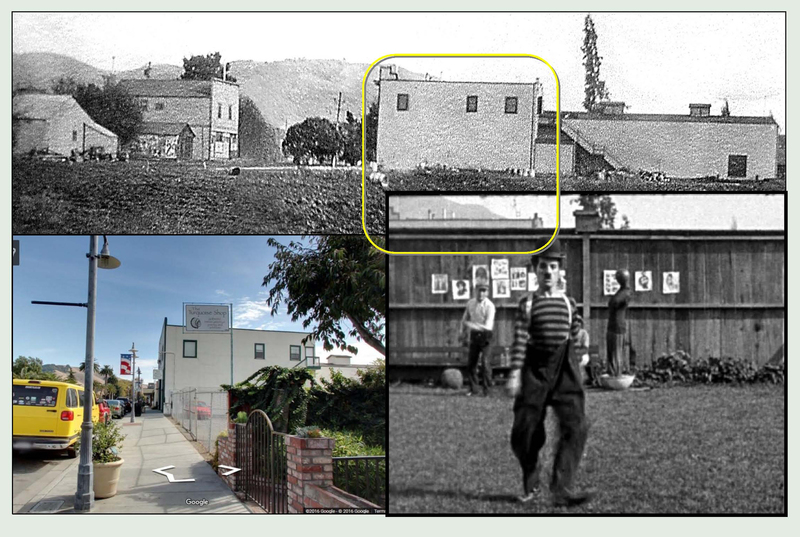 The top of the extant Edison Theater (box) peeks over the fence, while the color view shows the side of the theater today, now home to the Niles Essanay Silent Film Museum. Charlie walked his dog from left to right along the outside of this fence. (C) Google Street View. Looking SW at the corner of the studio at G Street, and the studio fence gate (arrow). Notice the glass stage behind Charlie. Click to enlarge – Charlie captures the attention of a policeman in this view looking west along the front of the studio. The bleachers for the adjacent Sullivan Park baseball field (box) appear in the upper right corner (see below). Click to enlarge – looking north, this frame from Ben Turpin’s 1915 comedy Snakeville’s Champion shows the Sullivan Park baseball field, due west of the studio. 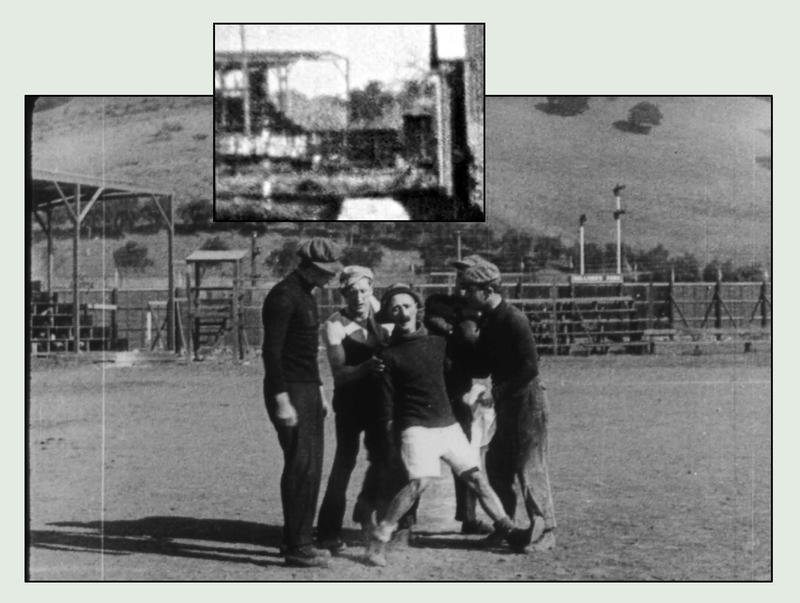 The inset from Charlie’s scene in The Champion, reversed here for comparison, shows the park’s shaded bleachers. Turpin and Chaplin made two films together for Essanay, His New Job filmed in Chicago, and A Night Out filmed in Niles and Oakland. 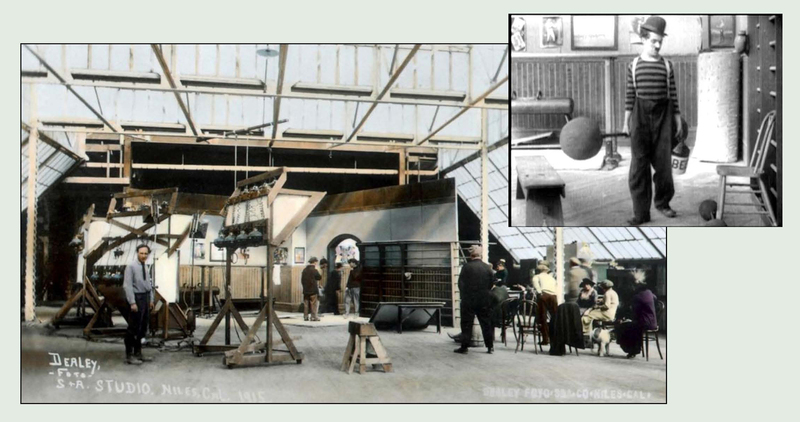 Click to enlarge – looking NE, this panoramic view of the ball park combines frames from Ben Turpin’s film. 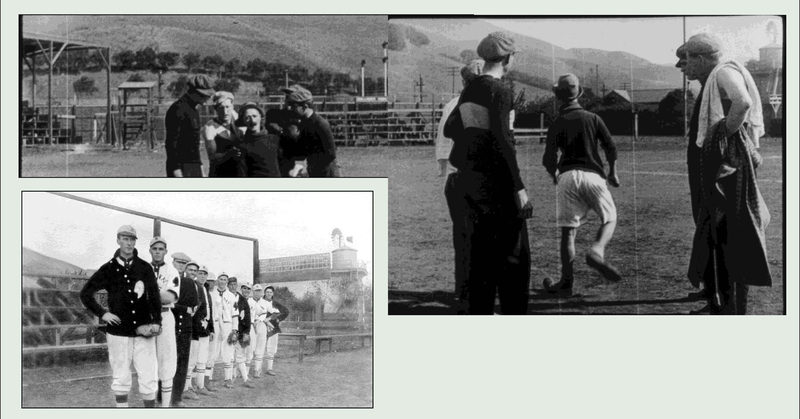 The inset shows the Essanay Studio baseball team in 1913. 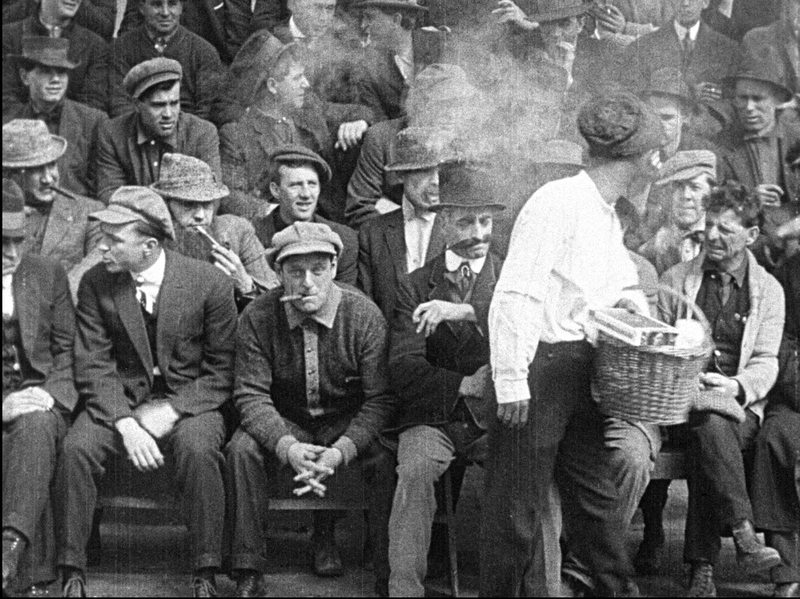 Second from the right stands Rollie Totheroh, who would become Chaplin’s cameraman in 1916, working with him until Rollie retired in 1954. This ball field stood due west of the studio. Historian David Kiehn writes that Chaplin did not necessarily endear himself to the townspeople during his brief stay. Notorious for his huge salary and signing bonus with Essanay, widely publicized at the time, Chaplin reportedly didn’t tip local waitresses, pay for his rounds at the bar, and mooched walnuts at the general store. “He was a shy person off-camera, and I think he tried to make up for it by pretending to be outgoing,” says Kiehn. “There are stories that at baseball games he would go under the bleachers and pinch the bottoms of women.” Presumably any bottom-pinching in Niles would have taken place here. Chaplin’s boss and Essanay co-founder Gilbert M. “Broncho Billy” Anderson, cinema’s first cowboy star, had been making films at Niles for a couple of years before Charlie arrived there in late January 1915. 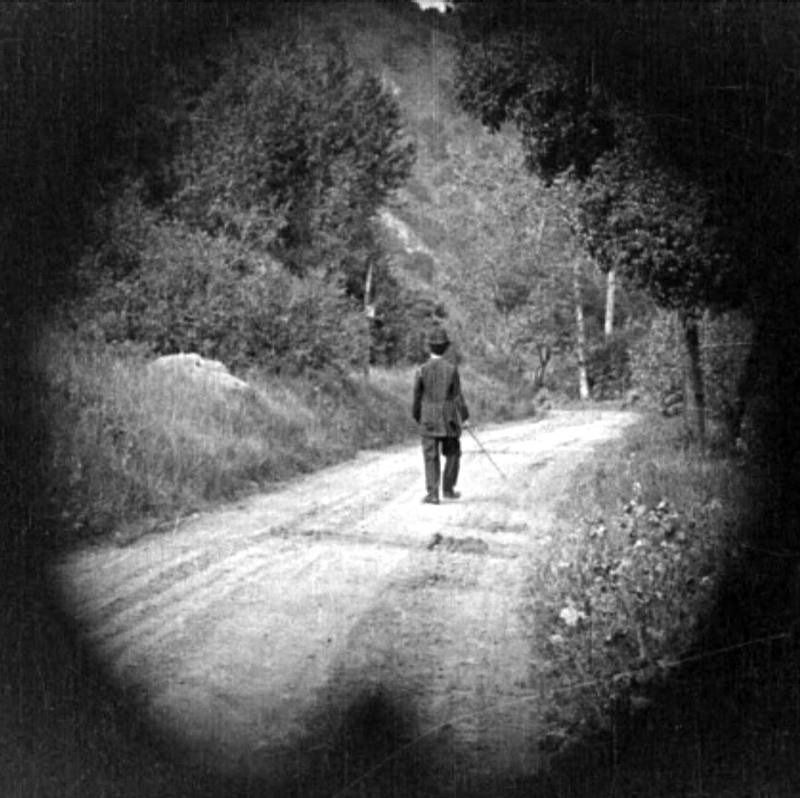 This recent post explains how Chaplin filmed the iconic shot of his Little Tramp traipsing down a country road, the concluding scene from The Tramp, at the same spot where Anderson had previously filmed action scenes for his cowboy films. The Tramp was Chaplin’s final production during his 10-week stint in Niles before heading to Los Angeles. Anderson and Chaplin became friends working together in Niles. At the right, Anderson plays a cameo in The Champion, seen here staring into the camera, as an extra watching Charlie’s boxing match. You can purchase a newly released two DVD set containing 16 Anderson Broncho Billy films, shot mostly at Niles, HERE. All vintage images courtesy of David Kiehn, historian for the Niles Essanay Silent Film Museum, and author of the wonderful history of the studio, Broncho Billy and the Essanay Film Company. You can read more about Chaplin filming The Champion in my book Silent Traces. Preservationist Serge Bromberg of Lobster Films, and Cineteca di Bologna, have restored all 15 of Chaplin’s 1915 Essanay short comedies, available as a 5 disc Blu-ray/DVD box set from Flicker Alley. The restoration of The Champion was made possible thanks to the generous support of the Niles Essanay Silent Film Museum. This entry was posted in Charlie Chaplin and tagged Chaplin Locations, Charlie Chaplin, Essanay Studio, Niles Essanay Silent Film Museum, Silent Comedians, Silent Comedies, Silent Movie Locations, Silent Movies, The Champion, then and now. Bookmark the permalink.